The Hunger Games trilogy not only has an amazing storyline, thanks to best-selling author Suzanne Collins, but also has a slew of cool names. From Katniss to Peeta, check out the characters with unique names from The Hunger Games and find out the meaning behind them. The Hunger Games frenzy is heating up, thanks to the movies with an amazing cast includingJennifer Lawrence, Josh Hutcherson and Liam Hemworth, to name a few. Can’t wait to see Katniss whip up on her opponents? Check out our picks of these amazing names from The Hunger Games trilogy that would also happen to make great baby names for your girl or boy. We can’t wait to see a little Primrose or Peeta running around the schoolyard! The first of The Hunger Gamestrilogy features Katniss Everdeen, who lives in the post-apocalyptic country of Panem. She volunteers to take the place of Prim, her younger sister, to fight to the death in a televised match called The Hunger Games. In the book, it is explained that Katniss gets her name from her deceased father, who would tell her, “as long as you can find yourself, you’ll never starve.” Katniss is also the name of a plant, as is the name the Rue. Both the character names and the names of the actors and actresses playing the role are listed — and either one would make a great baby name! Catching Fire is the second book (movie slated for November 2013) and Mockingjay is the third and final book in The Hunger Games trilogy. In this book, we see our favorites, including Katniss and Peeta, with some new characters (with great names!) mixed in. The following character names may not be one of the main characters of the book, but they are equally as cool. Perhaps you will find the perfect unusual baby name in this list. 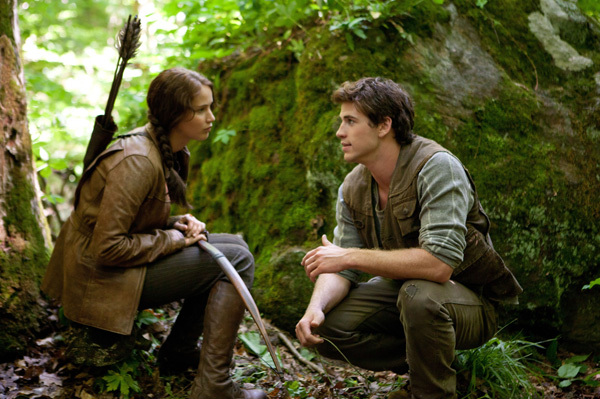 Tell us: What is your favorite name from The Hunger Games trilogy?